Fanatics has more that 200,000 sports merchandise of over 600 teams that we love. Shop with Rewards. Wear Fanatics clothing and accessories to bring on the team spirit! When watching a live game or in front of the TV, if you want to go out and play, get the sporty look, or hang out at home wearing team colors, young and old alike unite at Fanatics, one of the best sports merchandise stores online. 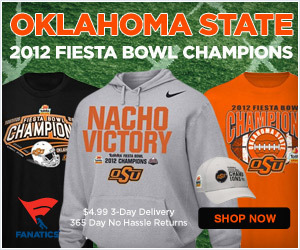 Fanatics has been selling sports merchandise since 1995. It dominates the other websites because it has the most enormous selection of officially licensed team and league products. Shopping for NFL Gear, NBA Gear, College Gear, and Sports Apparel is always a win for the customer. Fanatics has NCAA, NBA, MLB, NBA, NHL, NASCAR, and MMA gear made by brands such as Nike, Reebok, Adidas, Zephyr, Russell, Under Armour, Majestic, and more. See that old team jersey hanging in the closet? It has been years since you first used it. A team shirt from college may not fit anymore but could still be tucked away in the bottom drawer. What are you going to wear when your son is going to play for the same college team you did before? Got tickets to the next game? It the gang coming over to watch TV and eat pizza on game night? What you wear will be a loud and clear cheer even without uttering a sound. Wear a new sports outfit and dress up the kids in Fanatics sports clothing. Join the Fanatics Rewards Club for free. Earn 10% merchandise credit for each purchase. The merchandise credit earned can be used for future purchases. Get free shipping for orders over $75. And, get e-mails of discounts and offers that are exclusively for members. From head to toe, even the bag and watch can show what a Fanatic you are. Sports merchandise breaks all barriers to be used for casual wear practically anywhere. Great gifts are in store. Fanatics has 3 extra special options to send a gift where the recipient can choose what they want which are Gift Cards (sent by mail), Online Gift Certificates (sent by email), and Corporate Gift Cards. Fanatics Corporate Gift Cards are used by various large corporations such as Bruce Foods and American Tire Distributors. These may be used for Sales Promotions, Employee Incentives, Sales Incentives, and Safety Incentives. One of the ways it was used was in a program called "My Coke Rewards" where consumers enter the promo codes to earn points for prizes that can be redeemed from participating vendors. Shop at Fanatics for officially licensed team and league products with over 200,000 items to choose from. Earn rewards while you shop to be used on the next purchase and give away Fanatics Gift Cards and Certificates that will surely delight any sports fan. Have you used the Fanatics? Share your review!